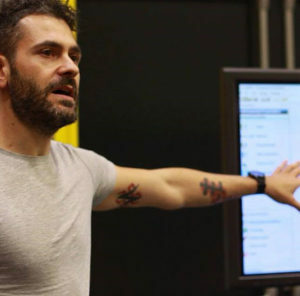 Antonio Robustelli is a professional sports performance consultant and applied sport scientist from Italy: his area of expertise includes injury prevention, sports technology, strength training programming, speed development, recovery monitoring and return to play assessment. He works worldwide since 16 years with semi-professionals, professionals and Olympic athletes as well as professional teams in various disciplines (football, athletics, basketball, rugby, cycling, weightlifting, volleyball, swimming, martial arts, waterpolo, tennis, archery etc.). Regularly invited as a Keynote Speaker to hold lectures during international conferences in Sports Science and Strength & Conditioning, he is an Invited Lecturer at the National Sports Academy in Sofia (Bulgaria) as well as a Guest Lecturer at Setanta College in Ireland. As a strength & conditioning specialist, Antonio has coached hundreds of individual athletes in different sports competing at Olympic Games, European Championships and World Championships. As a performance consultant he is consulting with individual athletes, Federations and professional teams (football, basketball, rugby) in Europe, Asia and USA. His main areas of interest and research are: eccentric overload and overspeed training, autonomic nervous system, foot biomechanics, load absorption monitoring technologies.